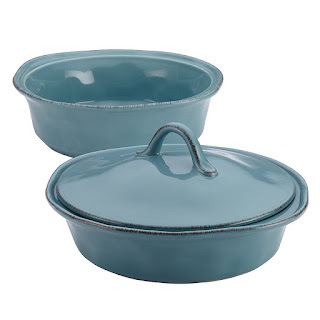 Right now you can score this Rachael Ray Cucina Stoneware 3-Piece Round Casserole &amp;amp; Lid Set in Agave Blue for just $28.79 shipped! This rustic stoneware casserole set features both a 1-1/2-quart and a 2-quart casserole dish with one lid that fits both. They are oven safe up to 500 degrees, and can be used in the microwave, freezer, and dishwasher.